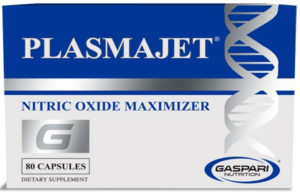 Gaspari Nutrition’s epic return to the world of supplements continues with the release of a revamped PlasmaJet Nitric Oxide Maximizer. We’ll come out and say it as bluntly as possible. 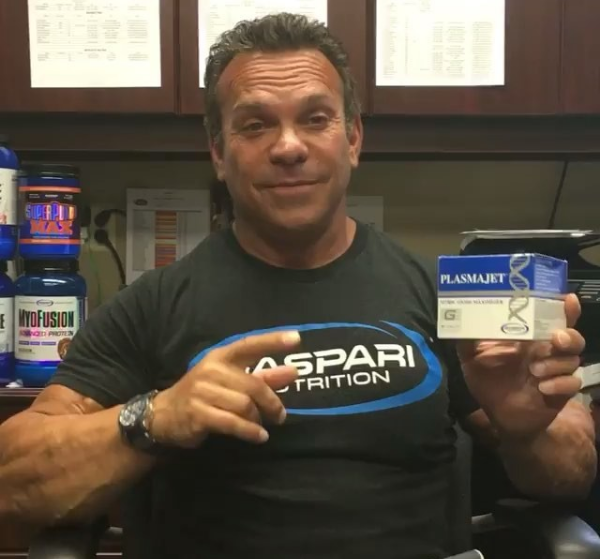 Gaspari Nutrition has been on an epic rampage ever since Hi-Tech owner Jared Wheat purchased a share of the company in April 2016. We knew to expect big things from the one time supplement giant, but we can hardly catch a breath here – things have gotten ridiculous over there! 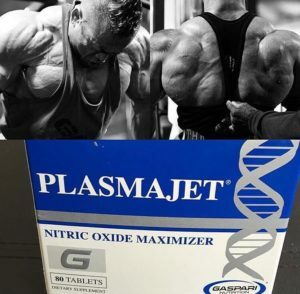 After seeing the upgrades to previous fan favorites like Halodrol and SuperPump 250, Gaspari has done it yet again with the powerful nitric oxide enhancer PlasmaJet. It’s back and better than ever too! 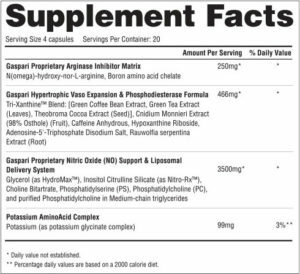 The overall idea is that most pre workout supplements contain just nitric oxide boosters, but often don’t hit the opposite end – inhibiting NO’s breakdown. That’s where PlasmaJet comes in, making it look like a fantastic stack add-on for those looking to gun it big on arm day. 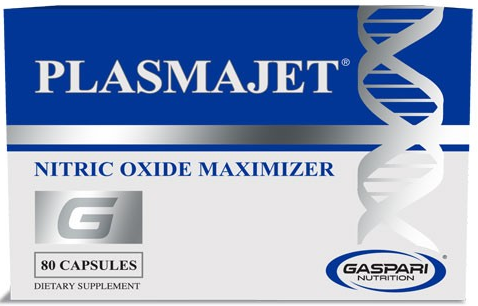 Just like SuperPump 250, since the new PlasmaJet is such a unique product, we consider this a must-try supplement for late 2016 / early 2017. It went to the top of our review pile without a doubt, so see the new review below! Mike, Colbi, and CJ took PlasmaJet to the face on arm day, and Colbi absolutely blew up! See the review below, and check out the surprise we encountered inside! Long story short from the review: if you’re a pump junkie, you gotta find a way to get this into your budget eventually. Using this before a bodybuilding show (or a pool party) might be worth exploring. Don’t make the mistake of thinking this new formula is all about L-Citrulline and Agmatine — if you did, you’re WAY off base. With the new formula, Gaspari has pulled quite a few surprises and we’ve enlisted the help of Gaspari’s Brand Manager VaughnTrue to help guide you through some of these otherworldly ingredients they’ve compiled. The new PlasmaJet has a TON of new ingredients you probably wouldn’t expect in a pump pre workout. Should make for some EPIC arm days! We’ve lumped these two ingredients together due to their shared function in the body. Chances are you’ve never heard of these ingredients, don’t worry though as they’re not the most common ones used in N.O. boosters. To put it plainly these two amino inhibit the enzyme arginase, which is directly responsible for breaking down the amino acid arginine. 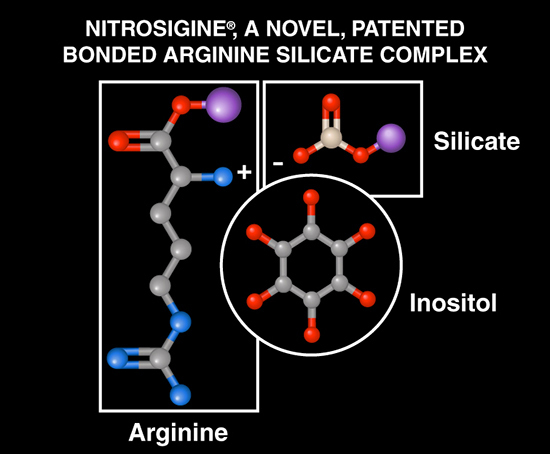 [1,2] By inhibiting arginase, we preserve arginine in the body which is directly tied to nitric oxide production. 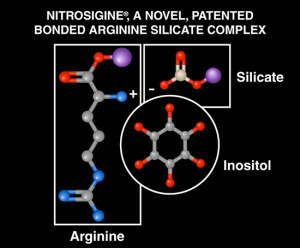 More arginine = more N.O. = more pumps! 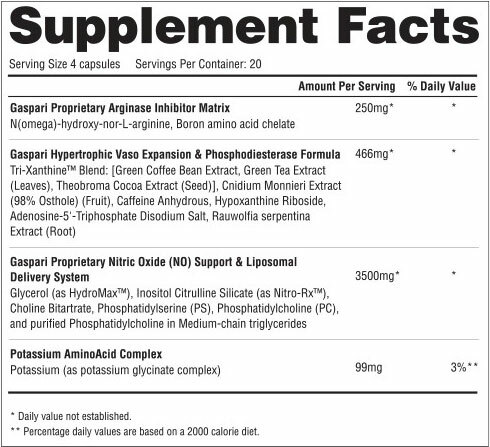 ”These two compounds are included to take the Nitric Oxide boosting category to an entirely new level. Until now, every Nitric Oxide boosting product has aimed to do one thing and one thing only, increase Nitric Oxide levels to their maximum levels. While this can and does product products that offer powerful pumps, the problem is that the human body is very adept and normalizing itself, and once NO levels get to high levels, the Arginase enzyme begins working to lower those levels back to baseline. This means that you can get a solid pump for a specific time period, and then you’re left with little to no pump very quickly. PlasmaJet stands alone as it is the first of its kind to offer two very powerful Arginase inhibitors (BAC and NHLA), which work by preventing the Arginase enzyme from being able to limit or lower our NO levels. This means that when any other NO booster would begin to fail, PlasmaJet instead allows the body to keep raising NO levels higher and higher, bringing pumps which are going to not only be more intense, but also last significantly longer to boot. As always, when things get this complex, we must make certain that you only use supplements when given a doctor’s consent and use under their care. These ingredients should never be mixed with prescription drugs or erectile dysfunction medications. The FDA has not approved any statements or ingredients on this page, and we can make no claims regarding the medical applications of these biological processes. Again, see your doctor to get a clean bill of health and don’t mix this with prescription drugs. Rich is going to tell you a thing or two about the all new PlasmaJet…in short…IT ROCKS! One other cool benefit of xanthines is that when they’re used in low doses, they actually act as vasodilators instead of vasoconstrictors. Again, the FDA has not approved any statements or ingredients on this page, and we can make no claims regarding the medical applications of these biological processes. Again, see your doctor to get a clean bill of health and don’t mix this with prescription drugs. Cnidium Monnieri is an herb traditionally used in Chinese Medicine for its pro-erectile qualities. Research has demonstrated that those ancient Chinese doctors were onto something, as trials confirm that the herb does increase nitric oxide levels via phosphodiesterase (PDE) inhibition. In other words, think of this as the herbal equivalent of Viagra! This is standardized for the compound Osthole. There’s one drawback to this ingredient though…. it smells!!! But don’t let that scare you, it’s insanely effective, as you’ll find out when you try PlasmaJet. With the new PlasmaJet, your pumps will have pumps! The inclusion of caffeine has surprised quite a few people as it was initially thought that PlasmaJet would be stim free. While it’s not 100% stim free, VT disclosed on the BB.com forums that it’s only 40-50mg worth, so you really won’t “feel” any kick from the caffeine. Why include low-dosed caffeine in a pump product? When dosed low like in PlasmaJet, it turns out that caffeine actually acts as a vasodilator instead of a vasoconstrictor, unlike other stimulants. Remember, the FDA has not approved any statements or ingredients on this page, and we can make no claims regarding the medical applications of these biological processes. Again, see your doctor to get a clean bill of health and don’t mix this with prescription drugs. Next up we have our good old friend ATP, the body’s primary fuel source when doing any kind of physical activity like sprinting, weight lifting, or jumping. How quickly your body depletes its ATP stores and regenerates them ultimately determines how well you’ll perform in your given craft. Attaching it to a disodium salt improves the bioavailability of the orally supplemented ATP molecule and should lead to less fatigue and increased overall athletic performance. Rauwolfia Serpentina tina is a potent source of rauwolscine, alternatively referred to as alpha-yohimbine. Alpha-Y is a pretty powerful stim that’s best suited for low doses due to its potency. Alpha-Yohimbine is a strong alpha-2 antagonist that helps prevent fat storage in the body. As a bonus, it’s also good for helping lower blood pressure and fight against hypertension! 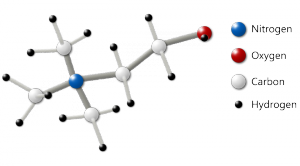 Silicate did wonders for Arginine, can it do the same for Citrulline? Feeling a little scrambled in the brain after the last several ingredients? Don’t worry, this one is familiar to all pump-fiends out there. HydroMax is a high-yield form of glycerol that contains 65% glycerol by mass. In the body, glycerol acts as a cell volumizer and swelling agent by essentially transforming your muscles into a sponge. This enables them to absorb a lot of water which improves both hydration and endurance. [13,14] You’ll also notice some pretty nice “water-based” pumps as well! Those of you familiar with Citrulline already have a large affinity for the potent amino acid. Think of Nitro-Rx as Citrulline on crack! We’re all familiar with Nitrosigine (Inositol Arginine Silicate), which is an improved form of arginine shown to elevate nitric oxide levels and keep them elevated for up to 2 weeks. Think of the same thing happening here, but with a much more powerful N.O. booster in Citrulline. We’re still waiting on some research for this particular variant of Citrulline, but it should be pretty stellar. Meet choline a common focus booster that also has plenty other benefits. The benefits don’t end with the elderly though. Other clinical trials give evidence that PS elevates post-exercise testosterone levels and increases mTOR-activity similar to that of phosphatidic acid (PA). We’ve got two forms of PC in PlasmaJet: standard Phosphatidylcholine and purified PC from Medium Chain Triglycerides. PC is included here to aid with the liposomal delivery of all the other ergogenics contained in PlasmaJet. We’ve seen phosphatidylcholine used to great effect with other ingredients like Gingko Biloba and Cucurmin, and can only imagine how effectively it’ll up the ante for notoriously poor bioavailable ingredients like ATP. The potassium included in PlasmaJet is derived from potassium glycinate complex. Here, potassium is bonded to glycine amino acid molecules to improve the bioavailability of the powerful electrolyte. This serves to improve hydration levels and keep the muscle firing at maximum output during your workouts. Take 4 capsules 30-45 minutes prior to your workout, and let the pumps FLOW! It appears that during the deal with Wheat, Gaspari also made a visit to New Orleans to strike a deal with the voodoo queens and witch doctors down on the bayou because ever since their re-emergence, Gaspari has been resurrecting long dead products and turning them into absolute monsters! We weren’t joking when we said that Gaspari has completely revamped the formula and seriously upgraded one of the best known pump products of all time. See our review up above — this is a must-try on arm day if you have budget! No Comments | Posted in New Products, Supplement News, Supplement Reviews | Tagged Adenosine Triphosphate, Alpha Yohimbine, ATP, Boron, Caffeine, Choline, Choline Bitartrate, Citrulline Silicate, Cnidium Monnieri, Gaspari Nutrition, Green Coffee Bean, Green Coffee Bean Extract, Green Tea, HydroMax, Hypoxanthine Riboside, Inosine, Jared Wheat, Liposome, N(omega)-hydroxy-nor-L-Arginine, Nitric Oxide, Nitric Oxide Supplements, Osthole, Phosphatidylcholine, Phosphatidylserine, Potassium, Pre Workout, Pre Workout Supplements, Rauwolfia Serpentina, Rich Gaspari, Theobroma Cocao, Theobromine. 1. Prati C, Berthelot A, Kantelip B, Wendling D, Demougeot C. Treatment with the arginase inhibitor Nw-hydroxy-nor-L-arginine restores endothelial function in rat adjuvant-induced arthritis. Arthritis Res Ther. 2012;14(3):1-11. doi:10.1186/ar3860. Daly JW, Jacobson KA, Ukena D (1987). Adenosine receptors: development of selective agonists and antagonists. Prog Clin Biol Res. 230 (1): 41–63. Addicott MA, Yang LL, Peiffer AM, et al. The Effect of Daily Caffeine Use on Cerebral Blood Flow: How Much Caffeine Can We Tolerate? Human brain mapping. 2009;30(10):3102-3114. doi:10.1002/hbm.20732.